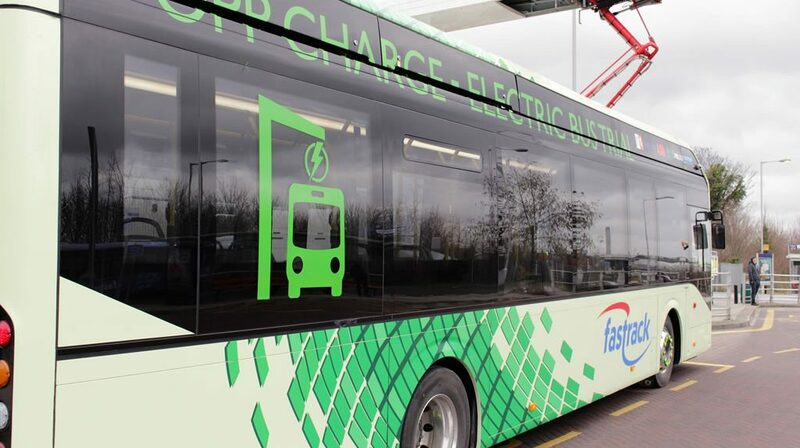 Kent County Council is taking part in a seven-week electric bus trial, run by Volvo Bus and their technical partner ABB, a Swedish-Swiss engineering group, as part of their one-year demonstration programme across the UK. The electric bus, a Volvo 7900e, produces no emissions and is driven by electric motors – providing up to 80% lower energy consumption than an equivalent diesel bus. 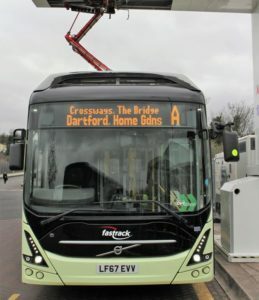 During the trial, the electric bus will recharge outside Greenhithe train station in under six minutes using Innovative OppCharge pantograph high-power charging technology. The OppCharge makes the range of the bus limitless by allowing the bus to charge at convenient locations along the line of route – in fact, a bus can charge within 30 seconds. Electric buses have great benefits for improving air quality and reducing CO2 emissions and the electric bus trial will allow us to gather evidence that electric vehicles can provide both financial and environmental benefits for the council in the longer term. The electric bus is successfully operating in Sweden, Belgium, Germany and Luxembourg. 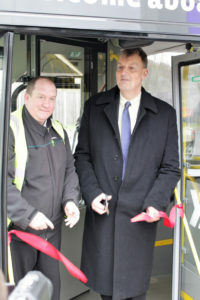 Most of the costs of the trial have been met by Volvo Bus and ABB. The first permanent use of the Opp Charging technology in the UK will be in Harrogate expected to go live in May 2018. Key stakeholders include Kent County Council, Volvo, ABB (charging partners), Arriva as the bus operator for the Fastrack A route and Prologis who contract the Fastrack A service. Other stakeholders involved include Dartford Borough Council, Southeastern, Ebbsfleet Development Corporation and Bluewater.